Many of North Carolina's wild horses have already started grouping together in anticipation of the hurricane. As Hurricane Florence prepares to make landfall, many cowgirls are making preparations to evacuate their horses…but what about the wild horses that frequent North Carolina’s coastline? Wildlife experts say that the horses, who have frequented the Outer Banks for hundreds of years, have endured many powerful storms in the past and know how to handle unfavorable weather. The Corolla Wild Horse Fund Facebook group reinforced this message by taking to social media to say that the horses are expected to be fine. It might seem like there’s minimal fuss about the safety of these horses, but that’s because they’re much smarter than people give them credit for. These horses can easily sense a change in weather, and will gather and make preparations when there’s impending disaster. 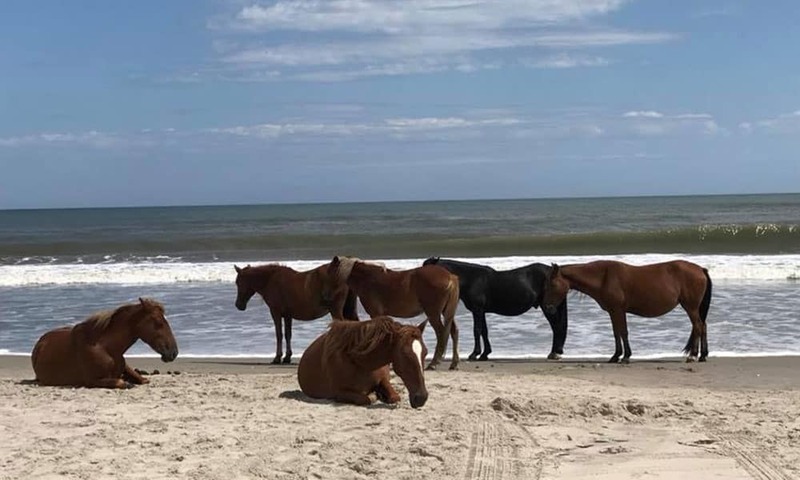 As of right now, the Corolla Wild Horses have already started grouping together as Florence gets closer to land. There are other groups of wild horses that call North Carolina home, including the Shackleford Horses, and they are also not evacuating. Don’t let natural disasters wreak havoc on your horse! Read below to learn how to keep your horses safe.